Ignite your passion for adventure, action, and travel! The Banff Mountain Film Festival World Tour Radical Reels Night will exhilarate you with amazing big-screen stories when it comes to the Rio Theatre. Journey to exotic locations, cycle wild places, and climb the highest peaks. Get your tickets today and be taken away to the most captivating places on earth. 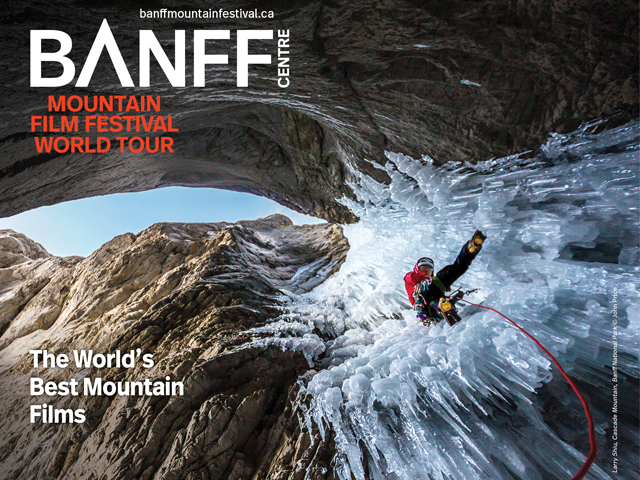 The 2017/2018 Banff Mountain Film Festival World Tour brings adventure films from the 42nd annual Banff Mountain Film Festival to about 400 communities around the world. From an exploration of remote landscapes and mountain cultures to adrenaline-fueled action sports, films in this year’s World Tour are sure to captivate and amaze the explorer within you. Formerly the Radical Reels Tour this year’s event is part of the Banff Mountain Film Festival World Tour and will showcase some of the best adventure films from the tour. Be moved. Be inspired. Don’t miss out. Reserve your tickets today. Please be advised that films will be listed approximately one month in advance. We strongly encourage you to check the film listings and ratings before you purchase if this is a concern. There are few more challenging cycle races on the planet than the Tour of Ara in South Africa. The 800 kilometre quest takes place annually over six days, primarily driven on gravel roads while riding vintage steel bikes. It’s not the tallest mountain in the world, it’s not even the tallest in Australia, but fewer people get to the summit of Tasmania’s Federation Peak these days then get to the summit of Mt Everest. And Mark Savage and his intrepid team of climbers hope to summit during the wettest winter on record. Forty-three countries down, Hera van Willick rides her bicycle across continents, full self-supported, sharing her journey and what she has learned along the way. (2017, USA, Reel Rock 12, 25 minutes) Classification: 14A - Coarse language & Violence Maureen Beck has never let the fact that she is missing her lower left arm hold her back from climbing. She doesn’t want to be considered a good one-armed climber, or a good female climber...she just wants to be a plain good climber.